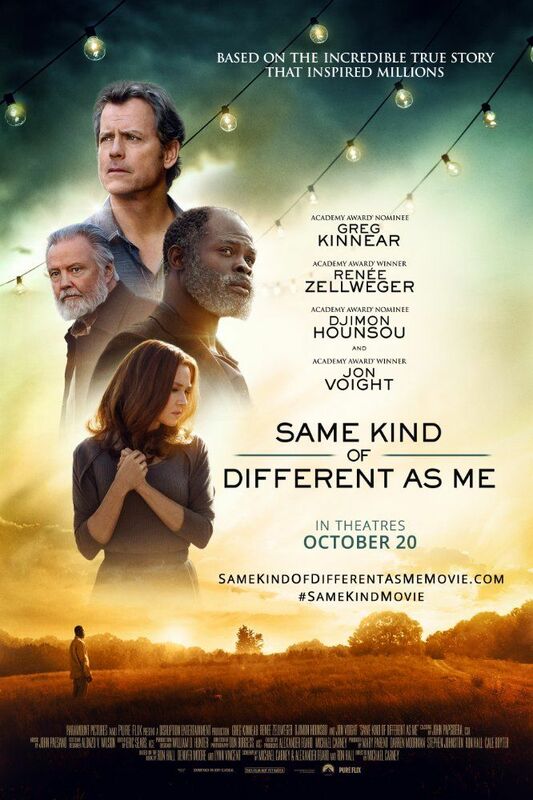 Same Kind of Different as Me is an upcoming American drama film directed by Michael Carney and written by Ron Hall, Alexander Foard and Michael Carney. It is based on the book of the same name by Ron Hall, Denver Moore and Lynn Vincent. The film stars Greg Kinnear, Renée Zellweger, Djimon Hounsou, Olivia Holt, Jon Voight, and Stephanie Leigh Schlund. Read more on Wikipedia.